Natural Gloss is ideal to restore natural finishes on vinyl, rubber and plastic interior car surfaces. 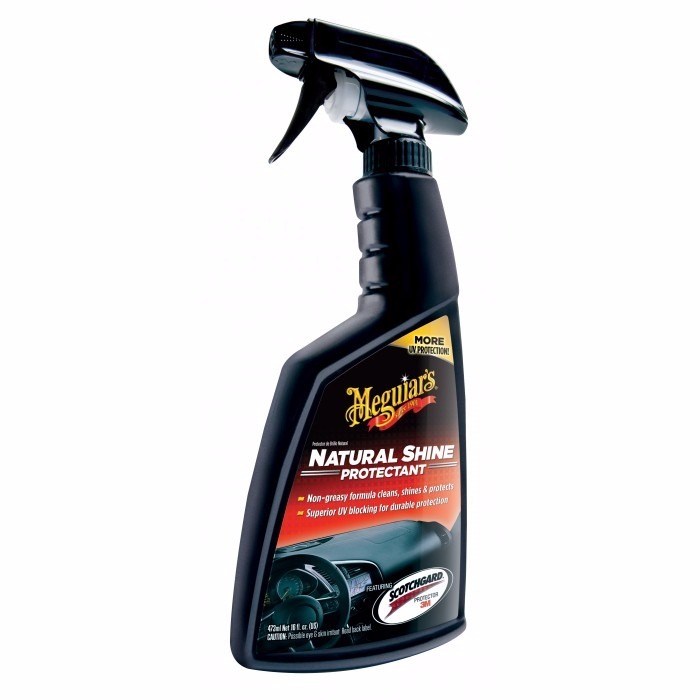 This product cleans and protects without giving surfaces an artificial or greasy look. Its formula contains UV-ray blockers, which help to mitigate sunlight damages such as surface fading or discoloring. It has Scotchgard protection.